Thinking about poetry | Primary Planet! ﻿Anyway, this was a great read, with several awesome poems that I haven't read or thought about in years. It really made me think about how I use poetry in my classroom. Each week we have a poem of the week which we read daily and the kiddos take home on Friday to read with their parents. It is an amazing way to practice fluency, sight words, and vocabulary. In January, we start our Poetry writing unit, culminating in our groovy Coffee House Poetry day in February. This book really made me think about how I can use poetry for more. 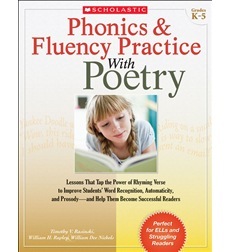 Now I am scouring the Internet for poems to go with our Spelling lists, poems to use during Guided Reading, and poems to help teach concepts. I have found a ton of resources! Now I just have to figure out how to organize it all. Do you use poetry in your classroom? How do you use it? What are your favorite poetry resources? I would love to hear what you do! I use poetry the same way. We have a poem a week that we read each day, then the kids take home their poetry journal to read to families and complete a short writing assignment. I should do more too, hopefully you'll share what you find? Thanks!